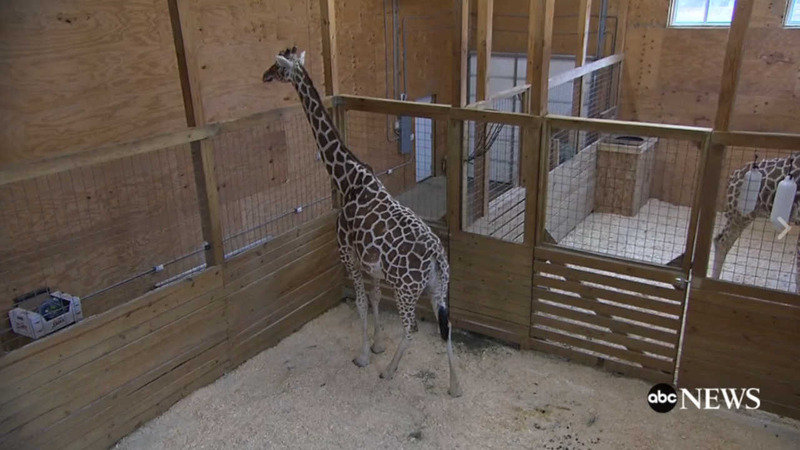 HARPURSVILLE, N.Y. -- It's been "officially April" for two weeks, and April the giraffe is still waiting to give birth to her much-anticipated baby at any moment. Will Friday be the day it finally happens? April has been pregnant for 16 months, just over the normal gestation time for a giraffe. When she finally gives birth, her calf's front hooves will come out first, followed by the snout. He or she will weigh around 150 pounds and will stand about 6 feet tall. Make sure to keep up with this live stream. Once the calf is born, Animal Adventure will have a contest to name the calf!